Lady luck has smiled upon a first-year Columbian law student, who will have the coveted chance to wine and dine with barrister and professor Amal Clooney. With their meet-up set to be at Jean-Georges, it may just be the stepping stone to greater heights for this young student. Columbia Law School’s Public Law Foundation auction went down on Thursday, and various sources report that a “lunch date” with professors Clooney and Sarah Cleveland at the haute French restaurant was among the many things up for a bidding war. The “date” was put up under the title Right to food (and champagne! ), valued at $8,100. Luckily for the winner’s friends, the luncheon is open for a maximum of six students, with the remaining spots being filled by parties of the winner’s choosing. All monies raised at the auction are channel towards supporting the law school students’ legal aid work. 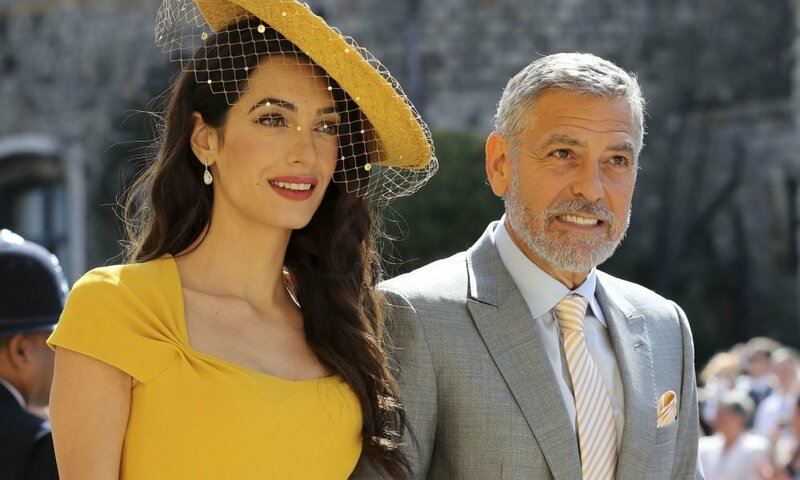 Professor Clooney, actor George Clooney’s wife, has been at Colombia for a few years now, having begun in her capacity as visiting professor since 2015. Together with Cleveland, they co-teach a human rights course at the institution. Other institutions within which she has offered her teaching services include the University of London, the Law School of Oriental and African Studies, The Hague Academy of International Law, the University of North Carolina at Chapel Hill, and The New School in NYC. Over the years, Amal has made a name for herself as a well-respected, formidable attorney, plying her trade specifically in matters concerning human rights and international law. Qualified to practice law in both the U.S and the U.K, she got her admission to the New York bar in 2002, and later in 2010, she was admitted to England and Wales. On the international scene, she has featured in the International Criminal Court and the International Court of Justice in The Hague. 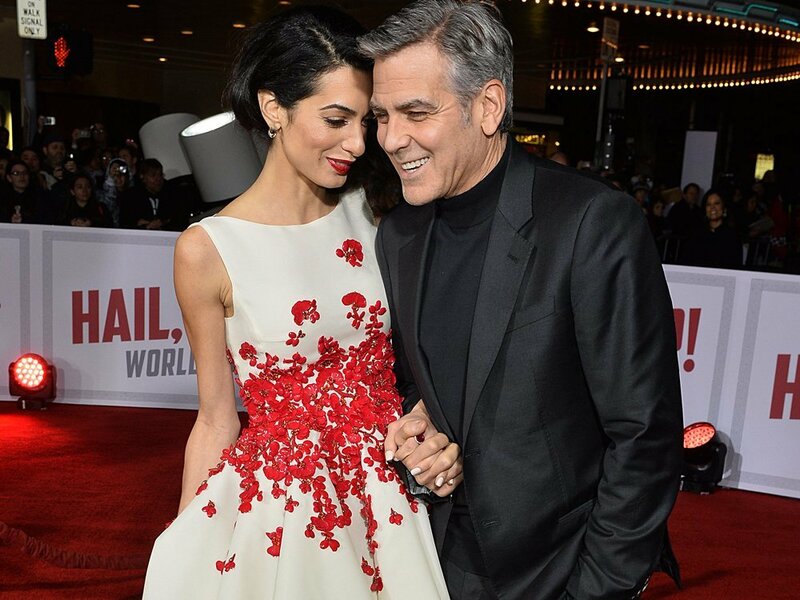 As one would assume of her, Clooney is also a philanthropist, whose generosity and love for humanity know no bounds. Currently, she leads the Clooney Foundation for Justice as its president and co-founder (the other founder being her husband). The organization seeks justice in communities, courtrooms, and classrooms, with no geographical boundaries. 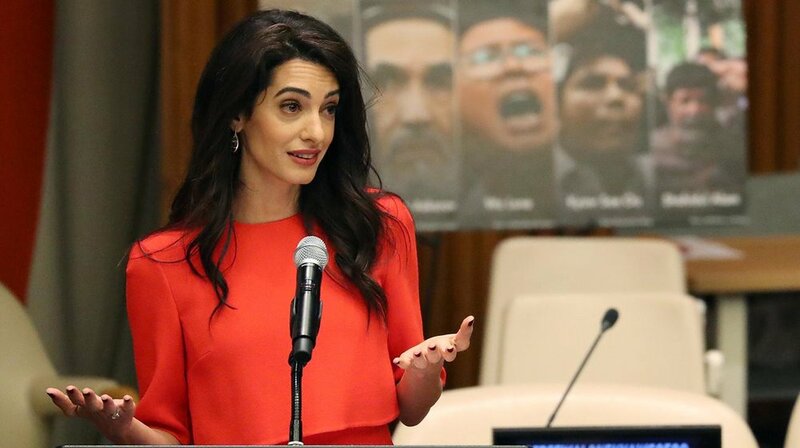 The Amal Clooney Scholarship, as the name confirms, is a venture she holds dear to her heart. Partnering with the Aurora Humanitarian Initiative, the scholarship sends one female Lebanese student to Armenia for an IB (International Baccalaureate) program at the United World College Dilijan, a two-year course. 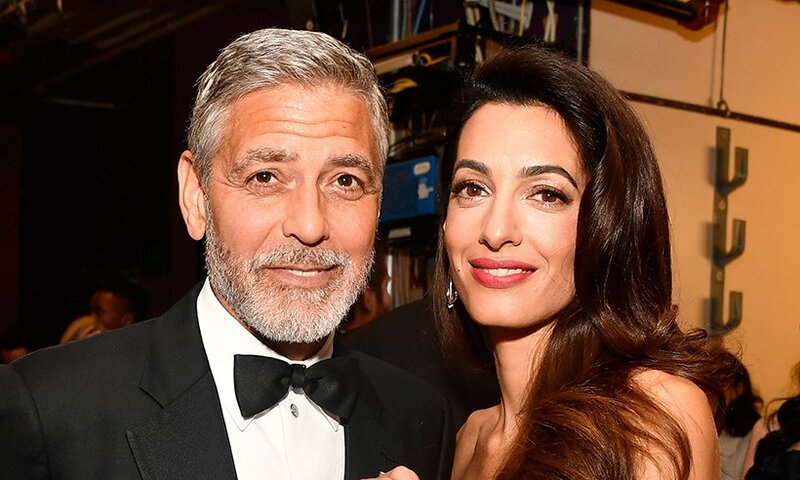 As mentioned earlier, Amal is happily married to actor George Clooney, and the couple has been blessed with twins Ella and Alexander, who were born in 2017. The two got engaged in early 2014, with their wedding ceremony following soon after in September the same year. Seeing as both of them are renowned for their success in their specific fields, their wedding had a worldwide audience, receiving a lot of media coverage.